THE USPTO has long granted all sorts of bizarre software patents. Those were granted on ideas that had already been implemented elsewhere (without the coder/developer/programmer pursuing a patent). There was extensive prior art, but code at the time was rarely shared on the Web (definitely not in the nineties and back in the eighties there was no World Wide Web just yet). “There was extensive prior art, but code at the time was rarely shared on the Web (definitely not in the nineties and back in the eighties there was no World Wide Web just yet).”One such company which pursued many software patents was IBM. It applied for (and received) a humongous number of software patents. That was back in the nineties and the decade that followed. It spent many years in the top spot for prolific patenters (classified by firm). Many of these patents are still valid as in not expired; but they’re not necessarily valid based on triviality and prior art assessments (if done properly). IBM is now trying to ‘monetise’ these patents and as we noted some days ago, IBM now goes after Web firms (there’s a pattern here). A few days ago GeekWire wrote that “IBM is suing Expedia, alleging that the popular travel site has for years been infringing on several of its patents, some of which date back to the early days of the internet.” Because those patents are about to expire and IBM is about to die (the company’s core business is slipping away and layoffs are routine). Will IBM change its ways? We doubt it. For a number of years we’ve complained about IBM’s ferocious lobbying for software patents in the US, putting aside its many threats and lawsuits against Web firms (such as Twitter). IBM is now a taxman and it is eager to maintain this revenue steam; it has become similar to Microsoft over the past 15 years (Microsoft hadn’t been aggressive with patents until its monopoly was slipping away just before Windows Vista and the ongoing rise of Google/Apple). “For a number of years we’ve complained about IBM’s ferocious lobbying for software patents in the US, putting aside its many threats and lawsuits against Web firms (such as Twitter).”A few days ago we wrote about the patent troll Finjan because it blackmailed FireEye. It is supported by Microsoft and it received some patents from IBM to bolster its trolling efforts. Cybersecurity firm FireEye has agreed to pay $12.5 million to patent licensing company Finjan as part of an agreement settling their patent dispute. The settlement includes a patent licence agreement, granting cross-licences between the two companies for the disputed patents. Or, in simpler terms, “protection money”. Finjan will now use that as ‘ammunition’ with which to threaten more companies (the few it has not already sued and/or extracted “protection money” from). It’s appalling. IBM and Microsoft actively helped this troll. 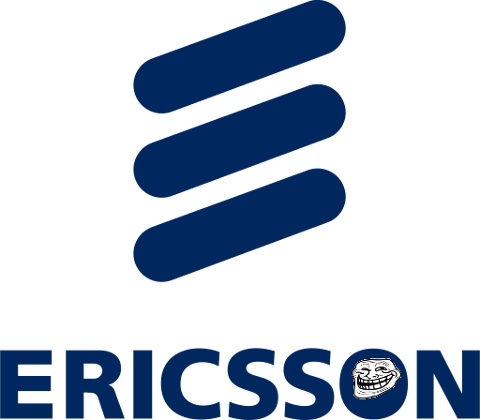 Speaking to the IAM blog Ericsson chief IP officer Gustav Brismark has made his first public comments on the judgment handed down by a California court just before Christmas in the Swedish telco’s high-profile FRAND licensing dispute with Chinese mobile manufacturer TCL. The decision, which was filed on 21st December, is the latest case involving standard essential patents (SEPs) to hit the courts and is largely seen to have gone against Ericsson. This is the kind of coverage we have come to expect from IAM because the site (like the magazine and events) is little more than a megaphone of trolls and patent aggressors. It’s like ‘Watchtroll Lite’. Citrix added that the aim of the suit was to prevent Avi Networks’ “improper conduct” and to recover damages over its wrongful use of its patented technology in its Vantage Platform. Citrix also wants to stop Avi Networks from making “further deceptive statements” and selling its infringing product without the correct licenses. Citrix appears to have a beef with Avi Networks over its recruitment practices as well, as the smaller firm has hired a number of its former employees and executives in the last few years. This includes Avi Network’s current Chief Executive Officer Amit Pandey, who served as vice president and general manager of Mobile Solutions at Citrix from January 2013 to March 2014. “Several other Citrix employees have left to join that company, bringing with them their knowledge of Citrix’s products and intellectual property,” Citrix complained in its filing.